Delicious Recipes for you on this Holy month of Ramadan! Make Ramadan a healthy one with our special Ramadan recipes for your Suhoor Dishes , Iftar Meals or?tasty snacks and treats! Break the Ramadan fast with these best Ramadan Iftar Recipes from all over the world. Find traditional Suhoor, Iftar recipes and recipes for your Eid al-Fitr feast. You can pick different recipe each day to make it interesting which can be loved among family, friends & kids. 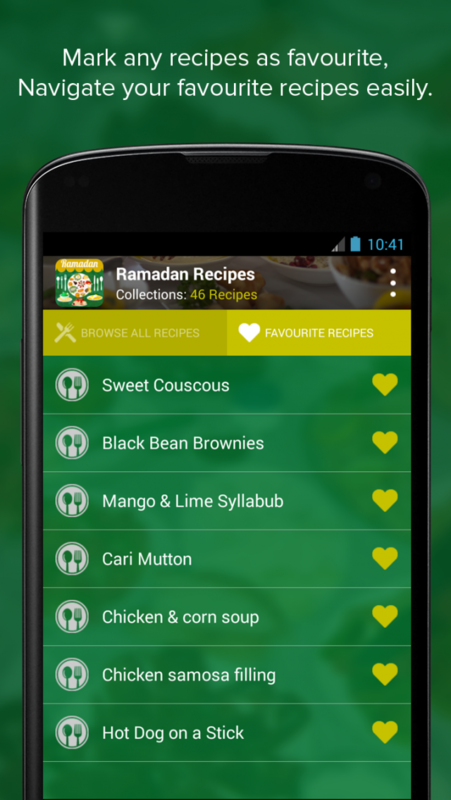 ?Best Collection of Ramadan Recipes. ?Recipes from soups to desserts and appetizers to non-veg. 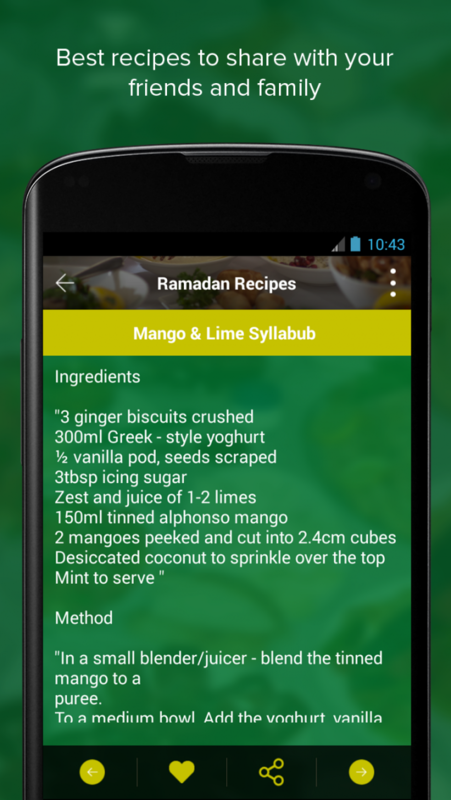 ?Manage your Favourite recipe list with ease. 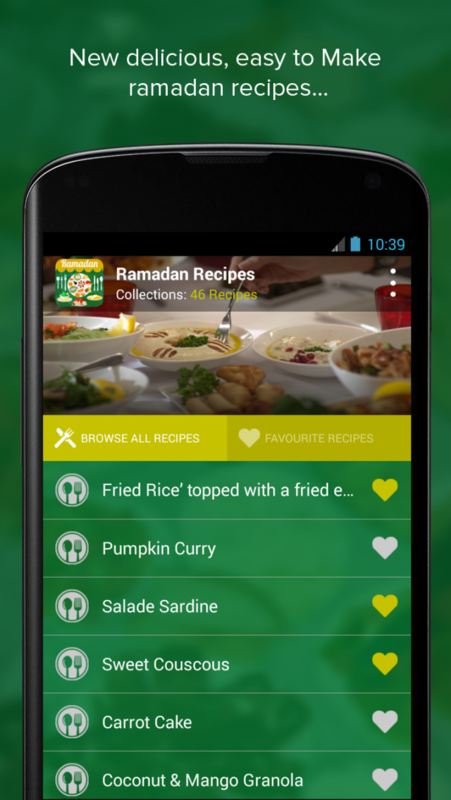 ?Easy to share Ramazan recipes you like with your family and friends. If you have no idea on what to prepare in today’s Iftar meals, then try these quick and easy recipes with complete list of Ingredients and step by step cooking methods to plan your Sehri and Iftaar with ease. It contains mixing of different kind tasty recipes like: Soups, Appetizers, chicken recipes, veg and non-veg recipes, cake recipes, snacks dishes for kids, sweets and dessert recipes all covered in one app. This Ramadan rejoices your life by making some awesome Ramadan Recipes to ensure healthy eating throughout this month and all the way to the magnificent feast on Eid-Ul-Fitr.